Here at Salesforce, we’re always striving to help small businesses find the right track to success. Every year, we craft hundreds of blogs and e-books offering up new insights and smart advice to help SMBs win new business—fast. And while we’ve shared a lot of strategies and tips on what to do, sometimes it’s also helpful to know what not to do when growing your business. 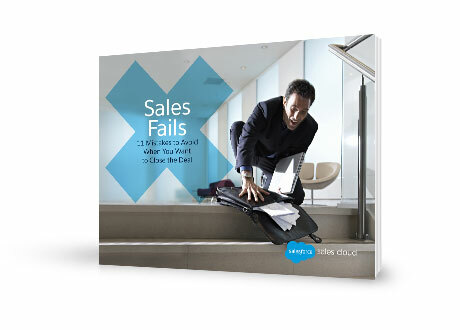 Download our e-book, Sales Fails: 11 Mistakes to Avoid if You Want to Close a Deal, and learn how to avoid common sales mistakes.